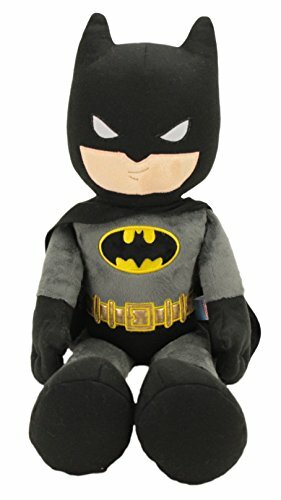 Batman is sure to be a hit at the party. 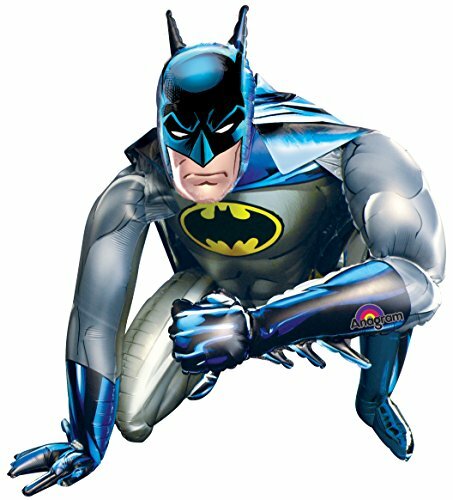 The caped crusader has thrilled generations and is a favorite of all ages. 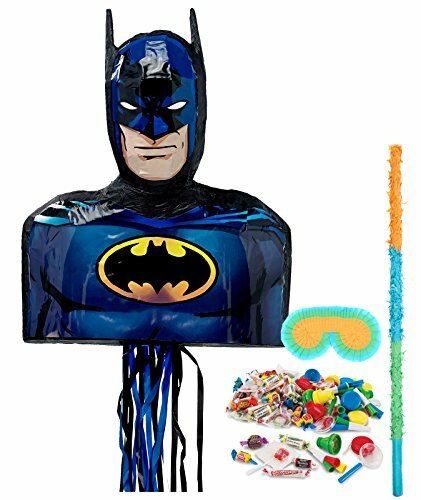 These bright and colorful party supplies including the easily recognizable Bat Symbol and the Batman in his iconic Grey and Blue Batsuit are sure to excite and thrill. 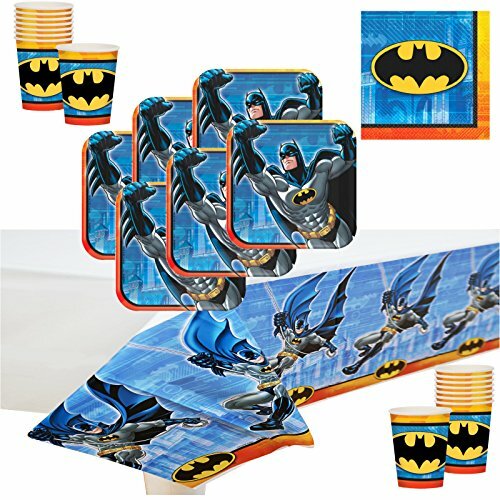 Each party pack comes with 16 seven inch square desert plates featuring Batman lunging into action; 16 five inch desert napkins that features the Bat Symbol in Black and Yellow on a blue background with 16 matching 9 ounce cups; and a large table cover that shows Batman swinging on his grappeling line! 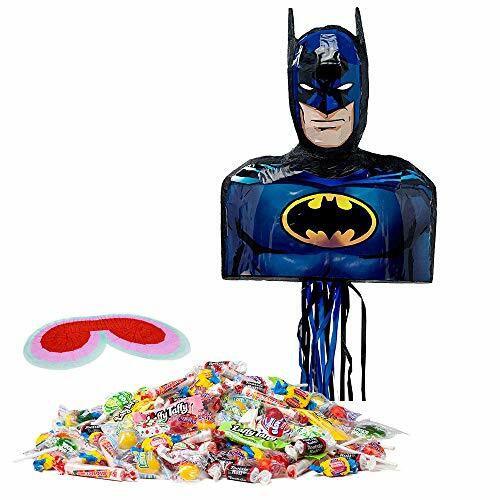 This party pack easily coordinates with other Batman Party Themed Supplies! 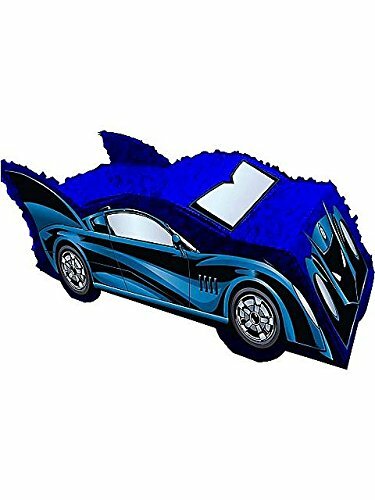 A timeless classic for your little superhero to celebrate with! 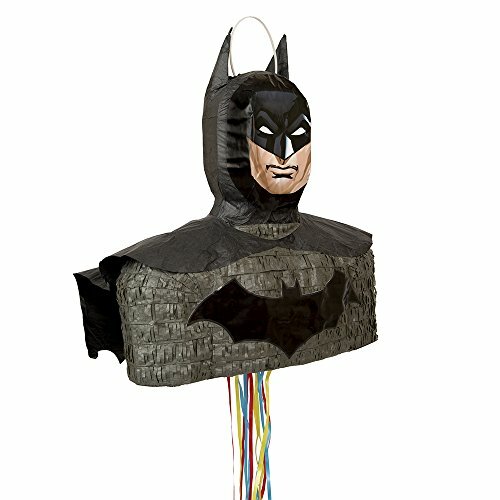 Give little ones their own superhero mission to complete with this Batman Pinata. 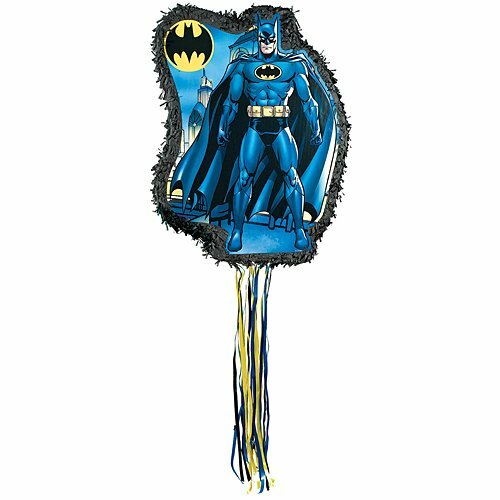 Hang this Batman Pull String Pinata from the ceiling and let party guests take turns tugging the strings to find the one that will reveal the treats inside. 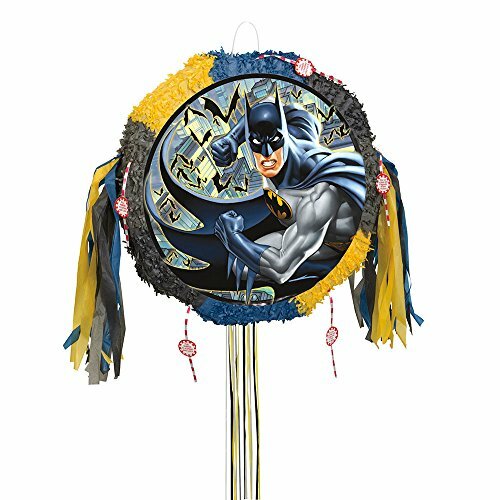 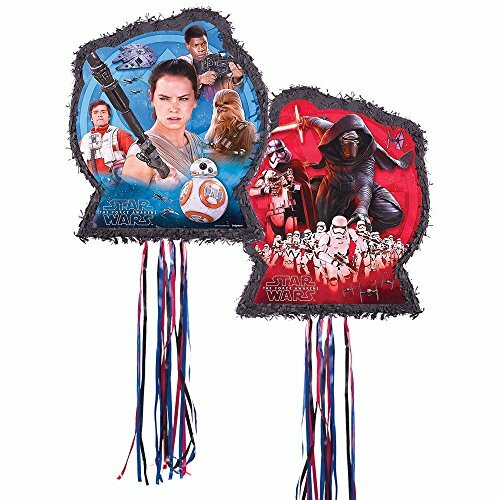 With its recognizable symbol of the Gotham City vigilante, this pinata is ideal for any Batman themed birthday party, superhero birthday party, or boys birthday party.